AdBlue technology is now appearing in newer diesel cars and vans to help reduce harmful exhaust emissions. However, if you didn’t have it pointed out to you when you bought the vehicle, the chances are you’ve never heard of it. AdBlue® is a colourless solution that helps convert harmful nitrogen oxides (NOx) gases into harmless nitrogen (N) and water vapour (H2O), reducing road pollution. 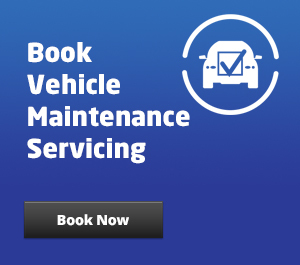 Does my car use AdBlue®? The newer the diesel vehicle, the more chance it uses it. But it does depend on manufacturer and model. Not all diesel cars use AdBlue® technology. If you haven’t spotted a blue capped AdBlue® refill point next to the fuel cap, in the engine bay or even the boot, then check your owner’s manual. Or just ask, we can check for you. Won’t it get refilled as part of an annual service? Servicing intervals are getting increasingly longer, and subject to the brand, it’s generally not part of your annual service. 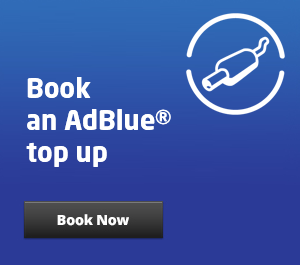 Depending upon your mileage, journey type and driving style, you may need an AdBlue® top-up in between regular servicing. It’s important not to ignore the AdBlue® re-fill warning light. Run low, or worse, run out and your vehicle can go into limp mode or even fail to start. How do I know when I need to refill it? You should get a warning light on the dashboard telling you it’s running low. How often will I need an AdBlue® top-up? It does depend upon your vehicle and it’s AdBlue® tank size. They can vary quite dramatically. But as a rough guide. Family cars (Vauxhall Insignia or Peugot 508) use approximately 1 litre per 1000 km/620 miles, whereas MPVs (eg Vauxhall Zafira or VW Touran) use 1.5 litres per 1000 km/620 miles. The more miles you do, you might find that you need a top-up in between servicing intervals. Can I top it up myself? Yes, you can. AdBlue® is non-hazardous. However, it can be corrosive and can dissolve materials that are not listed as AdBlue® proof in ISO standard 22241-1. Protective clothing needs to be worn. And great care needs to be taken so it doesn’t spill on to your skin, vehicle paintwork or interior trim. What if I get ATS to top it up? You’ll be safe in the knowledge that our experts will take great care in topping up your vehicle and will only use certified AdBlue®, in accordance with ISO standard 22241-1. It couldn’t be easier. For a quote on your vehicle, please ask one of our technicians.